The Allendale Community for Mature Living in Allendale, New Jersey, is North Jersey’s premier continuum-of-care senior living campus featuring four distinct residences: The Atrium Assisted Living; Carlton Court, a memory care neighborhood; The Allendale Nursing Home; and The Rehabilitation Center. Additional services include the Senior Social Club,an adult-day program that provides a variety of dynamic activities, as well as a Short-Term Respite Stay Program. Established by Hector Giancarlo, M.D., F.A.C.S., in 1967, The Allendale Community continues to reflect its founding “family-first” philosophy of caring for seniors in a warm, familiar setting that welcomes the involvement of family and friends. The campus has earned an exceptional reputation for professionalism, innovation and accessibility to the highest quality of care and most modern senior living amenities. 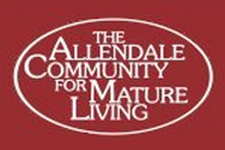 Residents at The Allendale Community for Mature Living are accepted without regard to race, religion, color, national origin, age, gender, sexual orientation or handicap. Services are available to all residents, as needed or requested.